Chimneys are probably the most undetected or neglected system in many households, yet it is the most important component of your home. The safety operation of your fireplaces entirely depends on the chimney, and the last thing you want is to have an issue with it when the mercury dips. To have a properly working chimney at all times requires a proactive approach, which includes regular chimney inspection. Annual Chimney inspection allows you to determine the condition of the chimney, and to come up with the right solution, which typically includes chimney sweep and preventive maintenance. If you have an old chimney, you will need more regular sweeps and maintenance. Most chimney complaints involve damaged masonry. Mostly masonry is damaged because of the harsh heat of the flames deteriorating the mortar and brick in the firebox, to the roof and the freeze-thaw cycle that destroys the top part of the chimney. Moisture can even damage rock masonry, weakening the mortar joints. Mortar have a very short lifespan, depending on how exposed the masonry is exposed to harsh conditions. 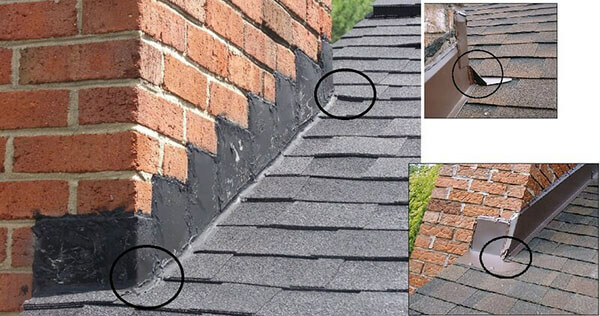 When it is damaged, the best proactive cause of action is to repair the affected area, which can include chipping out the loose mortar and letting in a cement mortar between the bricks. The repair on the chimney may also involve the sheet metals at the top of the roof that gets damaged after exposure from harsh environments. Crossville Chimney Leak Repair will conduct a conducting a thorough inspection to determine the exact condition of your chimney and come up with solutions. They will carry out a holistic repair and maintenance to your chimney, with an ultimate aim of restoring its look, until it becomes functional again. There are chances that some of the chimney problems are invisible, but a thorough inspection will allow us to determine those problems, and recommend the best way to move forward. If the chimney is in great shape, we will just do chimney sweep or cleaning, but if we notice something that is off not for a very long time, we will be able to repair it appropriately. If it is off for too long, we will be happy to give you our honest assessment and give you a free estimate for repair or possible replacements. Our chimney repair and maintenance services include chimney leaks, masonry problems, crown repair, and tuck pointing. Our expert’s technicians are certified and show excellent standards of customer services at all times to ensure that you are completely satisfied.